According to recent official statistics from the Italian Ministry of Infrastructure and Transport, in the last years gross fixed investment in the Italian transport sector represented 8.3 to 9.9 per cent of the total economy. A globalised sector such as air transport will be influenced by the general European trend of the gradual decline of the national flag carrier (in Italy, this would be Alitalia), entailing that fewer and fewer public funds are invested and more private capital enters the sector. Moreover, traditional carriers are losing ground to foreign low-cost carriers and also face increased competition from high-speed trains on some critical national routes. This has triggered important developments in terms of industrial infrastructure and capital. Transnational alliances, mergers and acquisitions of air carriers are becoming increasingly frequent. These operations have a common goal: to boost operational and marketing efficiency, to improve financial results, leading to economic and industrial improvements through economies of scale, and to reduce barriers to entry. The most significant merger in the aviation sector in Italy has been between Alitalia-CAI and Etihad Airways, which received the green light from the European Commission for its merger clearance at the end of 2014. Approval was granted under EU Regulation No. 139/2004 as the new partnership complies with European regulations on competition and air law, as Etihad bought a 49 per cent stake in Alitalia, and cooperation started in early 2015 (for recent developments regarding Alitalia see Section V.i). On 14 June 2017, the European Commission adopted Commission Regulation (EU) 2017/1084 amending Regulation (EU) No. 651/2014 with the aim of revising exemption criteria for airport investment aid from prior Commission scrutiny under EU state aid rules. The amending Regulation has the purpose to facilitate public investments in order to create jobs and growth while preserving competition. The Regulation is specifically designed for regional airports, which are defined as 'airports with average annual passenger traffic of up to three million passengers', and also for decreasing the regulatory burden and costs for public authorities and other stakeholders in the EU. It will be of a great importance for Italy, as the country is characterised mainly by regional airports. The criteria provided by the Regulation establish that aid does not exceed 50 per cent or 75 per cent of eligible costs of airports handling between 1 and 3 million and fewer than 1 million passengers per annum respectively during the two financial years (preceding the year in which aid is granted). Furthermore, there should not be any other airports located within 100 kilometres distance or 60 minutes travelling time by car, bus, train or high-speed train. However, a lack of coherence remains. In fact, the Regulation does not include state aid for airports with annual passenger numbers above 3 million (as per the 2014 airports guidelines), and does not provide for operating aid and start-up for regional airports (as per the 2014 airports guidelines) either. Moreover, there is no reference to a notification exemption in the particular case of airports in the same catchment area and managed by a single operator. Consequently, if several airports in the same catchment area are managed by the same operator, there cannot be any distortion of competition. The Italian aviation market is made up of a network of numerous airports, some of which are relatively small and frequently compete against each other. This entails a more dispersed system than in many other competing European countries. The result is a system that is highly polarised between Milan and Rome, and other minor airports come into play thanks to the aforementioned low-cost carriers. In 2015, the Minister for Infrastructure and Transport, to make the air navigation system more efficient, developed the National Airport Plan, which identifies airports of national interest in each of 10 areas of homogeneous traffic, and among them those airports of particular strategic importance. The 10 areas identified by the Plan have been determined according to the criterion of being within the maximum distance of a two-hour drive from an airport of particular strategic importance. The purpose of the National Airport Plan is to focus and address resources and investment towards precise targets. Another important role was played by the Italian Ministry of Infrastructure and Transport on August 2016. The Ministry presented new guidelines concerning state aid, which have the purpose of developing air routes and promoting air carriers. Such governmental intervention, which has also been commented on by the new independent Authority of Transport Regulation, aimed to ensure wider accessibility to a major number of air carriers and to incentivise public investment. In addition, the Italian Ministry of Infrastructure and Transport guidelines and the Authority of Transport Regulation intervention may be also revised, in accordance with the Commission Regulation amending Regulation (EU) No. 651/2014 for regional airports. Private capital has been invested in the management of several airport authorities – such as those in Rome, Milan, Naples and Venice, which have seen significant financial input from private investors in recent years – and the management of other airports is currently in the process of being privatised. Bologna airport saw tangible growth following privatisation, and was listed on the stock market in July 2015. More specifically, on 14 July 2015, the global offer of sale and subscription was equal to 14,049,476 common shares, corresponding 38.92 per cent of share capital after the global offer. The offer was completed with a request for 39,162,516 shares with a value of €4.50 per share. At present, the share value is equal to €15.38, and for Bologna airport an investment is expected of €248 million up to 2022. A recent case of privatisation involves Alghero airport: in December 2016, F2i Found purchased 72.5 per cent of Alghero airport shares, whereas the remaining shares are accounted for by the region of Sardinia. Currently, shipping is almost exclusively financed by private capital in Italy. In all, around 40 operators dominate the market; the main three of these control 50 per cent of it, while the top 10 account for more than 80 per cent of the sector. In the past, shipping has been subject to much financial speculation, mainly with respect to financial derivatives and forecasts on future freight, and this has led to the collapse of some companies at low points in the market. Some problems that concern this segment are the limited presence of foreign investors, high credit costs, significant business fragmentation, lack of innovation, and structural problems resulting from low competition. Italy is not a major player in international ship financing and Italian lenders tend not to specialise in the complex arena of the maritime finance industry. Finally, regarding the railway sector, Italy's national railway company FS,3 formerly a public agency, became a limited company in 1992. The rail market was also liberalised but Trenitalia, wholly owned by FS, remains the major Italian rail carrier of passengers and goods. The public sector has in fact financed rail transportation in Italy with considerable investment. This explains the state's vested interest in the profitable functioning of the rail market; in the past few years, the relative percentage invested in railways – especially in high-speed trains – has increased. Nonetheless, the first private company recently entered the rail market in Italy. NTV4 has placed its high-speed Italo trains in direct competition with Trenitalia's high-speed services, but only the most profitable routes are covered. NTV was founded in 2006 and made its way into the railway market in 2011, despite claiming that FS was obstructing its entry into the market (for recent developments regarding NTV see Section V.i). In the last Industrial Plan 2017–2026, FS Group predicted an investment of €94 billion in projects aimed at transforming FS into an international company with integrated global mobility. Particular attention has also been given to foreign investments that currently constitute 13 per cent of the total revenue, with the objective of achieving 23 per cent in 2026. In fact, the strategic plan presents three main lines of action regarding foreign investments. The first step consists of proposing FS company as a general contractor, able to realise railways, especially in states with marked infrastructure gaps. The priority areas for this international expansion are the Middle East, India and South East Asia, South America and Africa. The second line of action aims to make the railways services market grow abroad by exporting high-speed trains. It is clear that the various transport segments in Italy have been significantly affected by the economic crisis, but since 2009, each has responded differently. However, recent years have shown a positive trend and registered growth: the added value produced by the transport sector between 2011 and 2015 was expected to show growth of 2.6 per cent per year on average. Recently, the industrial districts, or clusters, have represented one of the main strengths of the Italian industrial system. They are homogeneous, local productive systems, characterised by a high concentration of mainly small and medium-sized industries, highly specialised in their area of business activity. Recently there has been a significant growth of industrial clusters in many fields, bringing new opportunities and benefits to the transport sector. In particular, the Lombardy Aerospace Cluster is an excellent example of an integrated system of enterprises, universities and research centres equipped with technological expertise and scientific capabilities in the aerospace industry. The latest figures from the Lombardy Aerospace Cluster confirm its development in recent years, with growth in sales revenue reaching record levels. In 2013 (latest data available), the Lombardy aerospace companies generated a turnover of €4.9 billion; an increase of €1.2 billion from €3.7 billion in 2009. In the past, the global economic crisis has affected the Italian aviation industry more than in any other major European country. In this context, it is not only Alitalia that has suffered negative effects from the international crisis – minor players in the national airline sector, such as Blue Panorama, Wind Jet and Meridiana Fly (now Air Italy), have also been affected. Nevertheless, as a sign of recovery, in October 2016 the Italian Civil Aviation Authority (ENAC) issued to Blue Panorama Airlines the air operator certificate (AOC) and the air transport licence.6 Furthermore, Ernest Airlines, founded in 2015, was granted an AOC and an operating licence as an Italian air carrier on 11 April 2017. Over the past decade, Alitalia has had to cope with increasingly aggressive competition from low-cost carriers such as Ryanair and easyJet, whose significant gains in market share have exceeded that of Alitalia itself. Ryanair is the most important carrier in Italy in terms of the number of passengers carried;7 in fact, according to traffic data published recently by ENAC, on the basis of the number of passengers carried in 2016, the top two positions are occupied by Ryanair, followed by Alitalia. Ryanair has also increased its forecast for 2024 from 119 million passengers to 200 million per year. In addition, in 2017 the Irish airline announced that it would invest an estimated US$1 billion in Italy in new aircrafts, new air routes and the creation of jobs and growth. As competition generated by low-cost carriers became increasingly aggressive, and Alitalia's recurrent losses frustrated attempts by the Italian government to recapitalise it, it became necessary in 2008 to initiate insolvency proceedings to preserve the continuity of Alitalia's transport services. Although the intervention of the Italian government aimed to ensure the business continuity of Alitalia's services, and at forcing the new shareholders to ensure greater stability for the former flag airline, the desired effects were not actually achieved. Previously, even other Italian carriers faced difficulties: Meridiana Fly (which merged with Air Italy in 2012) reported a 2012 net loss of €190 million, which led the company to start negotiations with Qatar Airways. Recently, the latter has purchased 49 per cent of Meridiana's shares (see Section V.i). In 2012, in view of the challenging economic conditions, the Italian government expanded the range of protective measures for firms in difficulty by approving the Development Decree.8 The government considered it necessary to update the old regulatory framework for bankruptcy situations and, in particular, the recovery tools, to avoid the bankruptcy of firms in crisis and in an effort to keep them afloat. In the past, an insolvent party had little room for negotiation with creditors. Generally speaking, the new measures aim at supporting Italian companies despite the impact of the debts shown on the balance sheet. The Development Decree provides for measures primarily aimed at reshaping the instrument of composition with creditors, and the latest reforms include, in particular, significant innovations to the process, focusing on its flexibility and the guarantee of temporary protection to debtors against actions by the creditors (the automatic stay). The reform introduces specific measures to further facilitate business continuity, which itself becomes an element characterising a specific type of composition with creditors. The Decree also affords specific opportunities to debtors to obtain additional exceptions to the general principles of Italian law, such as the possibility of cancelling pending contracts, overcoming the traditional principle of the stability of contractual relations. The Decree also allows benefits in the form of obtaining loans for company reorganisation, as well as tax advantages. 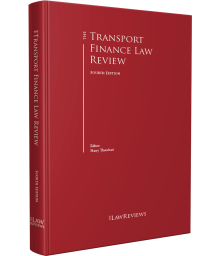 All these measures have a single purpose, which is to try – as much as possible – to keep alive firms facing bankruptcy in all sectors including transport, so as to keep the entrepreneurial system alive. Moreover, on 11 October 2017, the Italian parliament passed a law authorising the government to introduce a sweeping reform of Italy's bankruptcy legislation. The reform is expected to entail a major overhaul of Italy's bankruptcy and restructuring framework. Shipping has also been affected, although it is slowly recovering to pre-crisis levels. Nonetheless, in 2016 maritime passenger transport registered its lowest levels since 2005. National shipping companies have been forced to present refinancing plans to the banks in 2011 and 2012 as a result of a worsening in their balance results and of their failure to meet the covenants of their previous financing agreements. Recent statistics show longer-than-average repayment times, as well as increasing insolvency rates. This has widely led to share capital increases and to renegotiation or cessation of bank financing. Nevertheless, the recent reform of the port sector and logistics promoted by the Italian Ministry of Infrastructure and Transport, has established a reorganised, simplified and more efficient national port system. The sector's legislation has been revised and the 58 main Italian ports have now been organised into 15 new port system authorities, coordinated by a National Coordination Conference. Railway transport would appear to be the segment that has rallied best from the economic crisis in Italy, at least as in terms of cargo, but as far as passenger transport is concerned, investment does not seem to be creating an outcome either way. This is somewhat surprising given that, as explained above, investment in railways has increased more than in the other transportation segments. In February 2015, the European Investment Bank signed a €950 million loan agreement with Italy's Ministry for Economics and Finance, which will be used by FS to fund the modernisation of conventional railway lines in Italy. One of the FS Group's strategic priorities has been to launch new projects to modernise the infrastructure and technology used on the conventional network – investments made possible by recent government measures such as the 'Unblock Italy' Decree at the end of 2014 and the 2015 Stability Law. These new financial resources will speed up the launch of projects and remove obstacles to important projects already planned to help contribute to the recovery of growth and employment. The Italian banking sector was liberalised in the 1990s. Since this reform took place, erasing any distinction between special credit and ordinary credit, aviation and shipping assets have largely been financed by banks and other financial operators. Therefore, the corresponding financial regulation applies to the financing of aviation and shipping assets. In Italy, general EU rules on state aid applies. There are no sector-specific rules regulating direct or indirect financial support to companies of the aviation sector by the government or public agencies. Many local Italian airports are controlled by public entities and, as a result, their management and financing is subject to EU state aid rules; as previously mentioned, some are in the process of being privatised. As for the railway sector, European Directive 91/440/EEC, on the development of the Community's railways, launched the liberalisation process of the rail segment. This first Directive was further modified by Directive 95/18/EC and Directive 95/19/EC, which shared the same goal. Subsequently, Directives 2001/12/EC, 2001/13/EC, 2001/14/EC and 2001/16/EC followed as a part of this first regulation package, and were implemented through Legislative Decrees 188/2003 and 268/2004. Directive 2012/34/EU of 21 November 2012 – which was transposed in Italy into Legislative Decree 112/2015 and established a single European railway area – recast the first railway package and replaced and repealed Directives 2001/12/EC, 2001/13/EC and 2001/14/EC of 26 February 2001. This legislation identified the Ministry of Infrastructure and Transport as the body empowered to watch over competition and network issues in the railway sector. Regulation (EC) No. 881/2004, Directive 2004/49/EC, Directive 2004/50/EC and Directive 2004/51/EC (i.e., the second railway package) completed the liberalisation process with regard to transport of goods. A third railway package, consisting of Directives 2007/59/EC and 2007/58/EC, as well as Regulations 2007/1370/EC, 2007/1371/EC and 2007/1372/EC, was approved, which introduced the liberalisation of the European railway market for the transport of passengers, effective January 2010. A fourth railway package was adopted in 2016 and it is a set of six legislative designed to complete the single market for rail services. Its goal is to revitalise the rail sector and make it more competitive compared with other modes of transport. It consists of Regulation (EU) 2016/796, Directive (EU) 2016/797, Directive (EU) 2016/798, Regulation (EU) 2016/2338, Directive 2016/2370/EU, Regulation (EU) 2016/2337. In 2011 a new independent Italian Transport Authority was also established. It enjoys financial powers only in the railway sector, where it can set up financing plans, as well as monitoring the separation between the corporation that manages the infrastructure and the one that manages transport. In the airport sector, however, the Authority monitors and approves the rate systems and the level of airport charges paid by airport users for the use of facilities and services, which are exclusively provided by the airport managing body and which are related to landing, take-off, lighting and parking of aircraft, and processing of passengers and freight, in accordance with Directive 2009/12/EC. As airport charges should be non-discriminatory, Directive 2009/12/EC established a compulsory procedure for regular consultation between airport managing bodies and airport users with the option for either party to have recourse to an independent supervisory authority whenever a decision on airport charges or the modification of the charging system is contested by airport users. For the effective application of this Directive, an independent supervisory authority should be established in every Member State. Despite the terms of Directive 2009/12/EC, the EU Commission has received claims reporting the airports of Milan, Rome and Venice for non-compliance. In infringement procedure 2014/4187, the Commission contested the consultation procedure established to regulate airport charges through contract agreements between airport management bodies and ENAC. In fact, although under Law Decree No. 201/2011 an independent supervisory authority has been established in Italy (i.e., the Transport Regulation Authority), the airports of Milan, Rome and Venice are not subject to its control on the matter of airport charges. At the moment, proceedings are still pending in the pre-litigation phase before the European Commission. Public financing has played a critical role in the turnover of several Italian airports. The major Italian airports thus produce profit for the businesses that have been granted their handling, while minor airports are handled at a loss. Nonetheless, in many cases profits are the result of the presence of public finance (be it from the state, the regions or the EU). In Italy, loan conditions have slightly improved in recent years, thanks to a general improvement in economic expectations. Moreover, the increasing number of financing sources has led Italian banks to lower the hurdles for businesses to access financing. In the maritime sector, recent financial practice has seen experiments with new types of covenant. It is worth noting the practice of the Italian bank Carige in a recent operation for the financing of the acquisition of two ships in a judicial sale with a high leverage for the buyer and a subordinated loan, reimbursement of which was dependent on the occurrence of a series of suspensive conditions (i.e., the operation puts into practice a profit share agreement between bank and buyer). Moreover, in 2015, Italian bank UniCredit has declared its intention to invest €1 billion in the maritime sector. The implementation of the aforementioned European legislation for the liberalisation of the railway sector implies the introduction of an institutional and regulatory framework in Italy that ensures effective competition and free access. Notwithstanding the formal implementation of this legislation, and the recent establishment of the new independent authority, the goal of liberalisation has not yet been realised in Italy. The entrance of new operators in the sector have been repeatedly hindered by the network operator, irregularities that have been condemned by the Court of Justice of the EU, and sanctioned by the Italian and EU competition authorities. Italian law assigns the responsibility for safeguarding the stability of the national financial system to the Bank of Italy. The Bank of Italy performs this task both through microprudential supervision of banks, in partnership with the European Central Bank within the Single Supervisory Mechanism, of other financial intermediaries and of some markets, as well as by implementing macroprudential policies aimed at the system as a whole. The legal basis of the Bank of Italy's authority lies in Directive No. 2013/36/EU and its implementing Law 12/05/2015, No. 72, and Regulation No. 575/2013 on access to the activity of credit institutions and the prudential supervision of credit institutions and investment firms. More concretely, Italian Law No. 154 of 7 October 2014 was enacted to implement EU Directives into Italian legislation in this domain. Article 3 provides for the broad empowerment of the Italian government to adapt current legislation to the EU Capital Requirement Directive and Capital Requirement Regulation, among the Europe-wide legal pillars of the Single Supervisory Mechanism. This will entail substantial changes to Italian banking and finance legislation, mainly the Banking Act of 1993 and the Finance Act of 1998. Where possible, such changes will likely be brought through the regulatory powers of the Bank of Italy, the Italian Banking Authority and Consob, the Italian Markets Authority. Banks can now be fined up to 10 per cent of their consolidated turnover. Furthermore, if the individual author of a breach of the legislation has obtained determinable benefits, or the bank has obtained determinable benefits resulting from the breach, the fine applied will be twice the benefit obtained, even if the amount exceeds the cap described above. These are all very relevant changes in the context of the Italian financial scene, where such punitive powers had never before been attributed to any regulatory authority. These soon-to-be-implemented changes in the Italian legal framework for banks and listed companies will be relevant and substantial, and they will require that banks, listed companies, and their directors and shareholders introduce appropriate measures. Further relevant changes to Italian banking law are expected as soon as the Single Resolution Mechanism comes into play. Bank of Italy Circular No. 285 of 17 December 2013, last modified on 21 November 2017, entitled Supervisory dispositions for banks, provides for the supervisory regime that applies to Italian banks in its implementation of EU legislation and transposes the content of the Basel III Agreements. The Bank of Italy has implemented the EU regulation on liquidity9 by regulating in detail the procedure for liquidity risk management and all related aspects. Banking supervision and regulation in Italy has always been entrusted to the central bank. After Consob was created in 1974, the division of labour with the Bank of Italy was defined by purpose of regulation, rather than by type of intermediary. The Bank is in charge of the stability-oriented prudential supervision of banks, financial companies and investment firms, while Consob is in charge of transparency and investor protection, and in this capacity it has regulatory powers over companies as issuers of securities and over banks and investment firms as providers of investment services to the public. Since November 2014, in accordance with Regulation EU No. 1024/2013, the European Central Bank, assisted by the Bank of Italy, has been responsible for the prudential supervision of systemically significant banks, as listed by the ECB on 4 September 2014. Under Italian law, parties have a general freedom to grant security over their assets, with the following exceptions: state property, assets that constitute a patrimonial fund pursuant to Article 167 of the Italian Civil Code, and undistrainable goods pursuant to Article 514 of the Italian Code of Civil Procedure. As regards aircraft, security may be taken by a mortgage, but only of the voluntary kind. Pursuant to Article 1027 of the Italian Navigation Code, the security document must be notarised and the mortgage registered with the National Aeronautical Register. Article 1028 of the Navigation Code allows a mortgage to be taken out on an aircraft under construction, but in this case, instead of registration with the National Aeronautical Register, the mortgage must be filed in the special constructions register. The law governing this mortgage will generally be Italian law. Although, in theory, the deed of mortgage could be governed by law other than Italian law, all relevant security interest elements need to comply with Italian law in any case. It is therefore more typical to have a mortgage deed governed by Italian law. procuring the deregistration, export and physical transfer of an aircraft from the territory in which it is located. These remedies are exercisable without a court order unless the contracting state in question has made a declaration under the Convention prohibiting self-help. The Convention also provides for interim relief (provided that the borrower has agreed to it) and sets out regimes that contracting states may apply on a borrower's insolvency. Italian law also allows security over ships to be taken by a mortgage. Pursuant to Article 565 of the Navigation Code, the security document must be notarised and the mortgage registered. A mortgage may, once again, be taken over a vessel under construction, but, as with aircraft, the mortgage must be filed in the special constructions register. Leasings are widespread throughout the aviation sector as a necessary instrument for the expansion of most airlines. The high cost of aircraft calls for financial instruments of this kind that allow airlines to obtain the physical availability of aircraft without the risk to their capital. The Italian legislator has duly noted this widespread financing practice, which implies the dissociation between formal ownership and economic availability, and aims to safeguard the dynamic aspects of the possession of the aircraft. Therefore, since Regulation (EEC) 2407/1992 – part of the European Community third aviation package – came into force, Article 756 of the Navigation Code allows the registration of aircraft by anyone who enjoys ownership rights or rights of usage over it. Any right other than ownership that entails registration in the National Aeronautical Register, however, must be specified. A secured creditor in Italy may only enforce security through a court action, converting the asset through judicial sale and using the proceeds to meet the debt, and enforcement of security over vessels and aircraft follow the same principles. Enforcement of security governed by foreign law in Italy is possible in principle, if Italian courts have jurisdiction on the matter and are able to pass judgment applying the relevant foreign law; however, in practice, it is highly unlikely that enforcement proceedings would be brought in Italy when the security is governed by foreign law. Therefore, the interested party – the beneficiary of a security – would usually act before a competent Italian court, or seek enforcement of a foreign judgment in Italy. In any case, the only way to enforce the rights on such aircraft or vessels is to launch judicial proceedings, which culminate in a judicial sale. Italian courts are competent when the attached aircraft or vessel is located in Italy, when the aircraft or vessel to be sold is registered or located in Italy, or when the relevant convention provides for it. A judicial order from the competent authority is necessary to take possession of the aircraft. As mentioned above, security cannot be enforced by taking physical possession of the aircraft, so the interested party may either act before the competent Italian court or enforce a foreign judgment in Italy. Under Italian law,10 the owner or beneficiary of the security can apply to the court for an injunction to return the aircraft, which can be granted inaudita altera parte and either be immediately enforceable or subject to a waiting period of 40 days for a possible defence from the counterparty. To obtain an order that is immediately enforceable depends to a great extent on the actual event of default claimed and the evidence that the beneficiary is able to provide to the court regarding the right to repossess. The arrest of ships is possible in a wide variety of situations, including claims for damage done by or suffered by a vessel, and claims for goods, bunker or materials supplied to a vessel for its operation or maintenance. Action can be taken by a bank that has terminated the loan facility and wishes to draw on its mortgage, by crew members that have outstanding wages, and by insurers for claims for loss of – or damage to – goods. Arrest may be allowed regardless of whether the Italian courts have jurisdiction on the merits of the case; the Italian court may be competent for the arrest if it is the court of the port of call, and the application is subject to the condition that the vessel is within Italian territorial waters. Italy is a signatory to the Brussels Convention 1952. If a ship is flying the flag of a state party to the 1952 Arrest Convention, arrest in Italy can be sought only with respect to maritime claims listed under Article 1.1; if the ship is not flying the flag of a contracting state it can be arrested for the aforesaid claims as well as for any other claim for which arrest is permissible under Italian law (i.e., virtually any credit or claim against the owner of the vessel, including those not mentioned in the list of maritime claims set out in Article 1 of the Arrest Convention). Italian courts generally also apply the 1952 Arrest Convention for arrest of ships flying the flag of a non-contracting state on the basis of a rather broad application of Article 8.2 of the Convention. Arrest proceedings for aircraft are triggered through an application to the competent court and the service of a deed to the counterparty. The deed of attachment will contain, inter alia, an injunction to the counterparty ordering it to refrain from any action aimed at depriving the applicant of the aircraft under dispute. It will also include an order to the captain not to allow the aircraft to take off. Under Article 1057 of the Italian Navigation Code, aircraft cannot be seized, confiscated, attached or be the target of precautionary measures unless prior authorisation is obtained from the Italian Ministry of Infrastructure and Transport, if it is owned by the state, it is operated for the carriage of passengers or goods for profit and is either ready to take off or flying, or it is operated for scheduled services in Italy. Generally, since mortgages in Italy are formalised in a public deed, no prior judicial authorisation is needed to attach the aircraft – a notarised mortgage is in fact an enforceable instrument that has the same effect as a court order. The beneficiary will then have to contact the bailiff, who will proceed with the formalities for the attachment of the aircraft. The competent Italian authority will then appoint a custodian. This claim for arrest (sequestro conservativo), conceived as an interim measure to secure a potential enforcement of the mortgage on an aircraft following default by the party in possession of the aircraft, is, however, different from another type of arrest (sequestro giudiziario) that may be ordered by a judge when ownership rights are called into question within the framework of judicial proceedings. Italian courts normally grant the arrest of ships ex parte (provided they are satisfied by the prima facie evidence of the basis of the claim) upon presentation of the application, and set a hearing for the appearance of the parties (normally within a short time). In non-maritime arrest proceedings, the judge will summarily examine the request and grant the measure if the claim brought is well grounded at first glance (fumus boni iuris) and the applicant proves that it may be exposed to unrecoverable damages during the course of ordinary proceedings (periculum in mora). The requirement of periculum in mora is generally not requested for maritime arrest, however, certainly, if the arrest is sought pursuant to Brussels Convention 1952, the Convention does not contemplate this. Alternatively, the court may issue an order preventing the vessel from leaving pursuant to Article 646 of the Navigation Code. The order does not state the quantum for which the arrest is granted and is not, strictly speaking, an arrest, but has the same practical effects. Unusually, no security is required as a preliminary condition to seeking arrest of a ship. The judge may order that the applicant tender countersecurity, but this is rather uncommon at the time of the filing of the application, and security is normally requested only if the court considers the arrest to be controversial or that the merits of the claim have not been assessed in sufficient depth. If the claim is subject to foreign law and jurisdiction (for instance, where arrest is sought as security for a claim arising from a charterparty containing an English law and jurisdiction clause) the applicant must provide suitable evidence for the basis of the claim; this could be provided, for example, by means of affidavits or disclosing foreign authorities and case law proving the grounds for the claim. The competent court for the judicial sale of the aircraft is the court of the place where the aircraft is located. The procedure for the sale of the aircraft, following a judicial order, is rather complex. First, the order is served on all the parties to the proceedings, and it is also disclosed to the public. When it comes to the sale itself, different methods may be used, depending on whether the sale takes place through a public auction – in any case, the mortgagor is not allowed to bid. The price is paid by the winning bidder in accordance with the sale terms set out by the judge. Arrest of a vessel does not give an automatic right to initiate judicial sale proceedings; it merely provides security, and judicial sale proceedings are conditional on the claimant having an enforceable claim in accordance with the rules of the Civil Procedure Code. In practice, this means that the claimant can proceed with the sale of the vessel only once an enforceable and binding court decision on the claim itself (the merits) has been issued. The proceeds of sale will be divided among creditors in accordance with certain rules of priority. After all costs in connection with the judicial sale proceedings have been deducted, claims secured by maritime liens or mortgages on the vessel will first be paid. Any balance thereafter will be divided among the other creditors, with the time of registering the claim being a crucial factor. Since January 2015, Italy's national airline and flag carrier has been jointly controlled by the national carrier of the United Arab Emirates, Etihad. The agreement, entered into in August 2014, that Etihad would acquire 49 per cent of Alitalia's shares, allowed the latter to recover temporarily from a difficult financial situation. As this operation represented a concentration with great repercussions in the European market, competition clearance from the European Commission was required before the acquisition could be perfected. Clearance was granted on condition that some commitments were respected to safeguard free competition. However, the revitalisation plan of Etihad that was predicted to break even in 2017 has failed and after the rejection of the pre-agreement on cuts by employees, the way for the Alitalia commissioner has opened. The termination of the procedures for the sale of the Alitalia business complex is scheduled for 30 April 2018. Alitalia was granted an overall bridge state loan of €900 million to be paid by 30 September 2018, with the aim of ensuring the continuity of the air transport service until the effective transfer of the business complexes. In Autumn 2017, Qatar Airways completed the acquisition of a 49 per cent stake in Italy's AQA Holding, the new parent company of Italy's second largest carrier Meridiana Fly, while the previous sole shareholder Alisarda has kept 51 per cent. In February 2018 Meridiana changed its name to Air Italy. Another recent interesting case in the aviation sector is the privatisation of the Italian company SEA, which operates Milan Linate and Malpensa airports. F2i's bid to acquire a 29.75 per cent stake in the airport operators was approved by the local government in 2011.12 At present, F2i controls 44.3 per cent of SEA, while 55.65 per cent remains in public-sector hands and, following a recent acquisition, F2i Found also controls 72.5 per cent of Sogeaal. As previously mentioned, Bologna Airport saw strong growth in 2015 and in July of that year was listed on the Italian stock market; the entry of private investment means that this airport will only become more competitive. It raised about €63.2 million at IPO, with a market capitalisation of about €162.4 million. On 26 July 2016, ENAV13 was listed on the stock market, passing from the status of a single-member company to investee company. The Ministry of the Economy and Finance holds 53.3 per cent of ENAV. During 2017, the Ministry of the Economy and Finance's programme provided for the transfer of ENAV'S control, for a sum equal to 50.37 per cent to Cassa Depositi e Prestiti for a value of approximately €2.8 billion. In 2015, Finmeccanica and Hitachi entered into transactions covering the acquisition by Hitachi of AnsaldoBreda's business and Finmeccanica's 40 per cent stake in Ansaldo STS. The purchase price under the Ansaldo STS share purchase agreement was €9.65 per Ansaldo STS share. In 2016, Ansaldo was the subject of a takeover bid by Hitachi, with a view to purchasing the shares remaining on the market and those shared among different investors. In January 2018, Italian railway company Ferrovie dello Stato (FS) and motorway company ANAS announced a merger creating a group with a turnover of €11 billion. Finally, the first Italian, privately owned, railway company, NTV, after having become completely Italian following the exit in 2015 of the French Group SNCF, in February 2018 was bought by the US fund Global Infrastructures Partners (see Section I.i, supra). From a general perspective, the 2015 Stability Decree provided several financing programmes, especially for small to medium-sized enterprises, with the goal of boosting the national economy. In January 2014, the Italian Ministry of Infrastructure and Transport launched a new national airports plan to rationalise and reorganise the Italian airport system. One of its main objectives is to set out the infrastructure priorities into which investment should be concentrated, but there have been problems with the identification of nationally important and strategic airports. Furthermore, following the 2014 European guidelines, in August 2016 the Ministry provided new guidelines concerning state aid that also aim to facilitate and incentivise public investments for regional airports. Legislative Decree 148/2017 has extended the 'golden power' of the Italian government to the energy, transport and high-technology sectors. With regard to purchases by non-EU entities of companies that hold strategic assets in the energy, transport and communications sectors, the Italian government is required to assess – in addition to the threat of serious prejudice to public interests related to security and operation networks and facilities and continuity of supply – even the danger to security or public order. In the aviation sector, it seems likely that the current trend in the rise of low-cost carriers will continue, eventually leading to the consolidation of a limited number of large networks of carriers and a limited number of large low-cost carriers. This evolution will certainly affect the market structure, along with competitive fair play. Carriers that do not take part in strategic alliances may well collapse or be subject to acquisition or merger. As for the maritime sector, southern Italy is facing a challenge regarding the EU funding programme for 2014 to 2020 and the chance to bridge the gaps appearing between the Italian shipping industry and those of other Mediterranean countries. European policy has recently greatly stimulated the short-sea-shipping sector, where Italy excels thanks to the competitive advantage of its geographical position as a more sustainable substitute for road transport. The Italian ship financing system still poses many challenges, however, notwithstanding its cautiousness compared with other international banks. Better-structured technical competence, greater diversification of financial products and services, and wider diffusion of innovative financing techniques other than leasing are required. In this regard, corporate bonds and private equity are two options that seem worth exploring. 2 2.5 to 3 per cent of GDP over the past three years. 6 ENAC – Comunicato Stampa No. 81/2016. 7 In 2016, Ryanair carried 32.6 million passengers compared with Alitalia's 23.1 million. 8 Decree-Law 22 June 2012, No. 83, converted into Law No. 134 of 7 August 2012. 10 Article 633 of the Code of Civil Procedure. 11 Court of Gorizia, 25 May 2006, Stx Pan Ocean Co Ltd v. Adam Swoboda. 12 F2i is an asset management company, controlled by several private banks, and specialising in investments in the infrastructure sector. 13 Ente Nazionale di Assistenza al Volo. ENAV is responsible for the provision of air traffic control services, flight information services, aeronautical information services, and issuing weather forecasts for airports and the airspace.